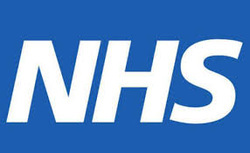 "WHAT IS A NHS TRUST (LOCAL HEALTH AUTHORITY)?" A ‘NHS Trust’ is a public sector corporation operating as a division of NHS England, providing health services to a local community. There are several types of trusts providing services for NHS England: acute trusts (hospitals), mental health trusts, ambulance trusts, clinical commissioning groups (CCGs) (managing GPs, dentists, pharmacist, etc. ), and more.